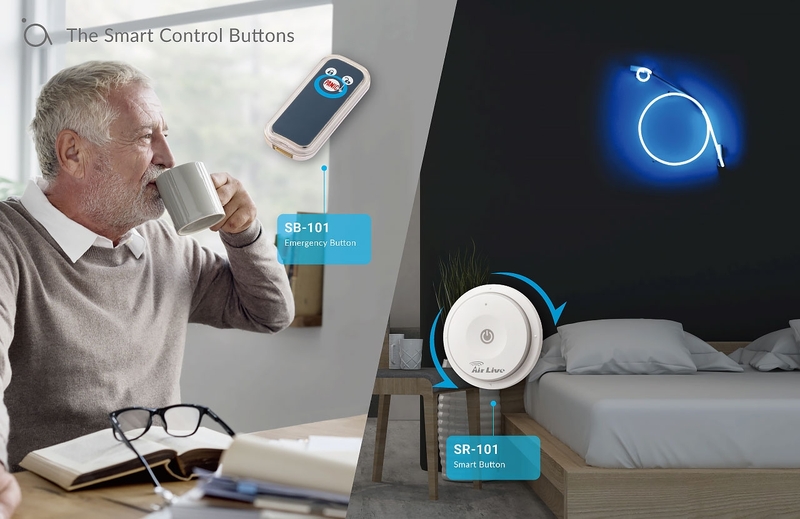 The AirLive Starter Packages contain everything you need to upgrade your house to a smart home. They come preconfigured for DIY; therefore, it is effortless to setup. All you need is to choose one package that suits your need. Whether it is for security, parental control, or home automation. There is a package for you. Our SG-101 is a Z-Wave plus Gateway with Siren and WiFi connectivity built-in. There is no need for extra siren. 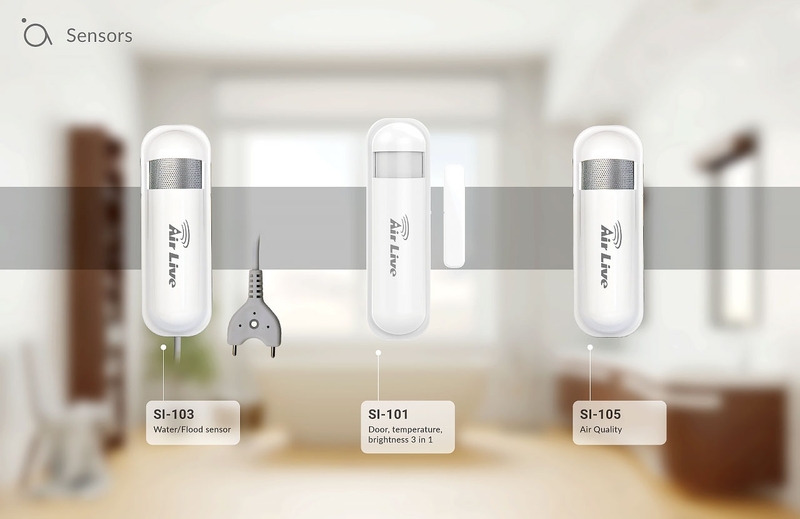 The 3-in-1 sensor includes door/windows, temperature and brightness sensor. It provides more functions than standard door/windows sensor. The SP-101 smart plug allows you to turn on/off the device and monitor the energy consumption remotely. Our DIY sensors include the Air Quality sensor that can detect carbon dioxide and TVOC. When the level exceed, you can turn on the fan to reduce the toxic level. The SI-106 is a standalone door/window sensor. The SI-103 can detect water leakage in the kitchen or in the bathroom. 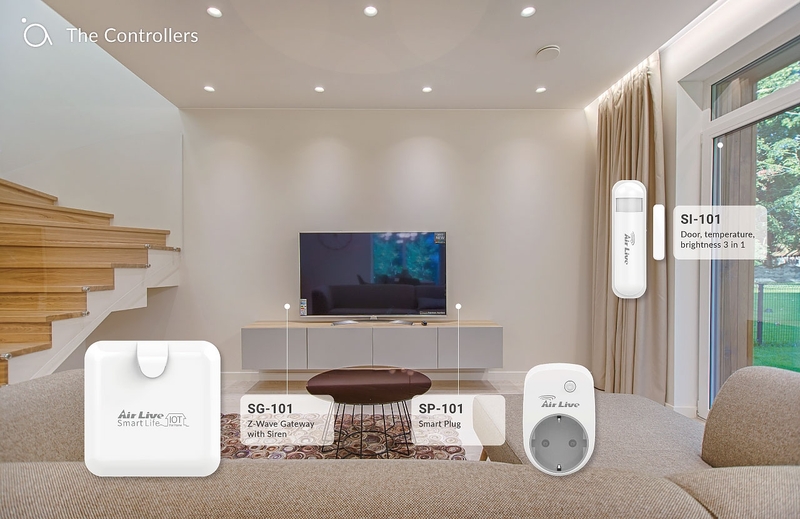 The SI-108 is an universal remote control that can learn the commands from your home remote. You can then control your appliance using a schedule policy or by voice command and APP. 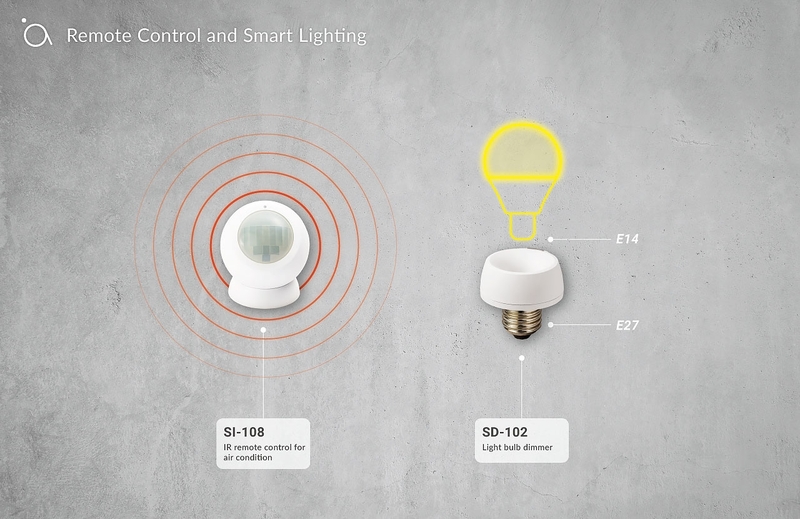 The SD-102 is a light bulb dimmer that integrates into your home lighting system. The SR-101 is a smart control button that can dim your light to various levels by turning the knob. The SB-101 is an emergency button for an elder or a patient to inform care takers when help is needed.